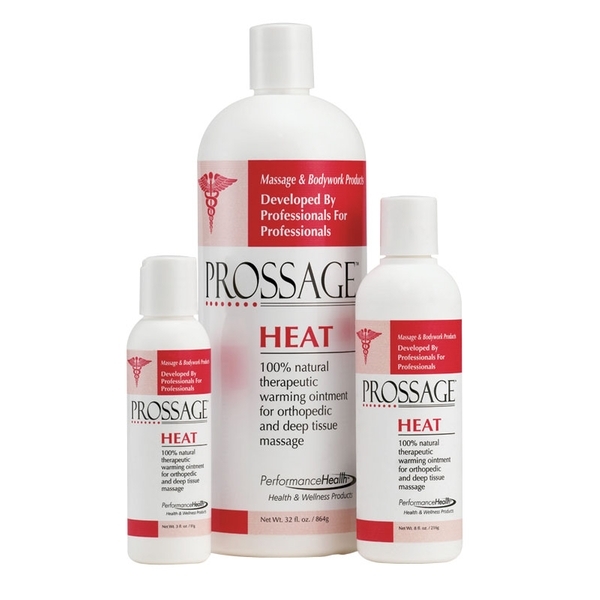 Formulated specifically for deep tissue massage, myofascial release and trigger point therapy, PROSSAGE® HEAT is an all-natural area-specific warming ointment. Non-returnable. All it takes is two or three drops of PROSSAGE® HEAT soft tissue formula, rub hands vigorously and begin sports massage, therapeutic massage, etc. The warming properties calm thermoreceptors and increase the amount of blood flow and oxygen in the area, relaxing muscles and ligaments. With easier access to deep tissue, the professional can quickly and efficiently work the soft tissue. Massage oils or creams cannot achieve the same level of soft tissue therapy. PROSSAGE HEAT allows a controllable, non-slip glide for easier, less-painful trigger point therapy, myofascial release and deep tissue massage.